Your opinion matters. 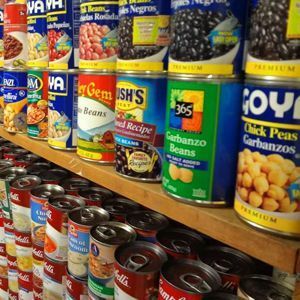 Leave A Review Or Edit This Listing for St. Paul's Food Pantry. Nutritious non-perishable items from cereal and pancake mix to spaghetti and soup are provided to patrons in need on a once a month basis. The food is donated by members of the church, and the program is also supported by grants from the Wakefield Corporation and the State of New York's HPNAP program. These funds are used to purchase food at discounted prices from the Regional Food Bank of Northeastern New York. We always need more information on our pantries. If you know of any details, volunteer information, website, hours or more description information about St. Paul's Food Pantry please add a comment (below the map on this page), with information. We will then display this for all visitors on this page.